Russia’s Foreign Minister Sergey Lavrov has said Russia sees the possibility for a solution to the Iranian nuclear issue, following the successful deal on North Korea. This statement was made at his press conference in Abu Dabi. Earlier on Wednesday, Mr Lavrov arrived in Abu Dabi, United Arab Emirates, on his working trip. At a press conference in Abu Dabi, Sergey Lavrov said Russia is thinking how to begin negotiations on the Iranian nuclear issue, not about a resolution on Iran. 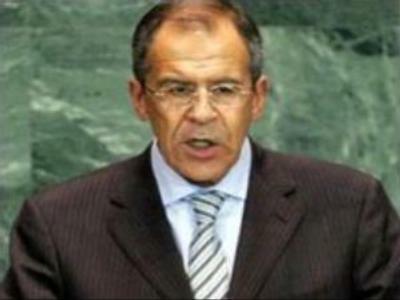 The Russian Foreign Minister stressed that a resolution on sanctions against Iran is not the kind of action that is required at the moment. He told journalists on Wednesday that it was the compromise made by the United States with Pyongyang that helped to resume the six-party talks. “The efforts the United States has exerted helped break the deadlock over negotiations concerning the Korean Peninsula's nuclear problem,” Mr Lavrov said. He added that a similar approach is needed for a resolution of the Iranian nuclear issue.